At BMW of Ridgefield creating value for our customer is our number one priority. We know that as a customer you have high expectations, and as a dealership it is our job to exceed them. Our 50,000SF facility serves as proof of our dedication to excellence. This flagship center includes a state-of-the-art service facility, showroom, and vehicle delivery center. For our BMW owners, we are excited to offer 3-lane service drive for dropping off your car and collecting a courtesy loaner. With the improvements we have made, and continue to make, our goal is to be the provider of your lifetime mobility needs. We are proud to announce that BMW of Ridgefield has won the coveted Center of Excellence award for outstanding customer satisfaction. Based on 15 operational criterion, we were selected along with 30 other stores, out of the 338 retail centers in BMW’s dealer network, to receive this special recognition. We encourage you to use this site as a tool to browse our inventory, schedule a test drive and investigate BMW’s different financing options. To learn more, schedule a service or book a sales appointment, you can fill out our online form or call us at (888) 694-5758. We look forward to serving you! Our experienced staff has helped many people get into the car that they want and we want to help you too. Browse our new BMW inventory or our used luxury car inventory to find the car of your dreams. If you need a car loan check out our finance page to start the process. If you need parts or service don’t forget about our talented BMW repair technicians and BMW parts professionals. BMW of Ridgefield strives to provide the best sales, service, and experience possible to make your car buying process stress free. 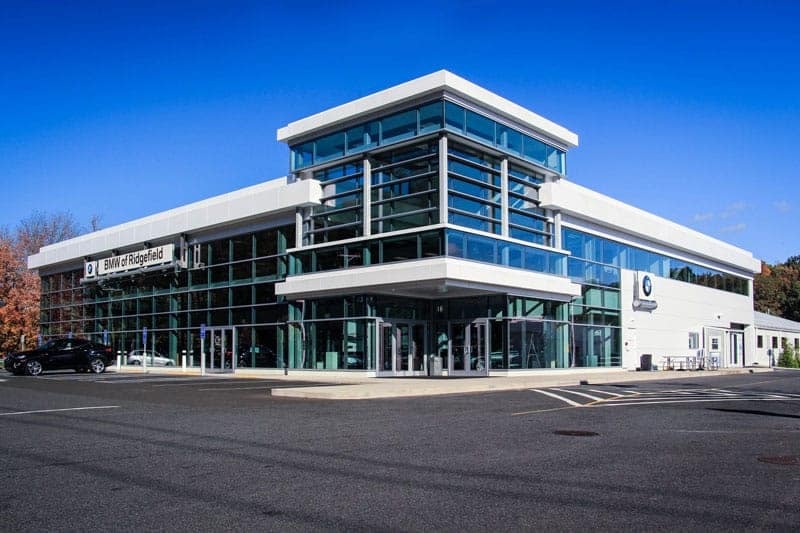 Don’t take our word for it, come down to 746 Danbury Rd, Ridgefield, Connecticut and see the BMW of Ridgefield difference for yourself!